Join us on Friday, Feb. 2, from 5-7pm for the public reception for Paper is Part of the Picture: Contemporary Paper and Book Arts. Curated by Drake University’s Sarah McCoy, Paper is Part of the Picture explores the different substrates, approaches, materiality and meanings revealed through artists’ interactions on and with paper. This exhibit features artwork made of or on paper by artists from across the US. Join us at the public reception Friday, Feb. 2, 5-7pm or visit the gallery during regular hours! Tues – Sunday, noon-4pm. 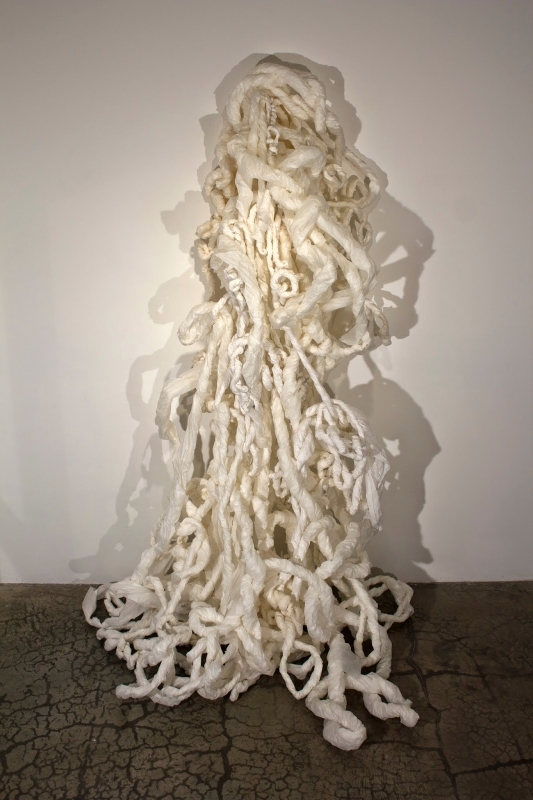 Renae Barnard is a multi-disciplinary artist living and working in Los Angeles. Her work investigates the undeniable relationship between biology and culture as well as the potential and limits of these two forces. Barnard's work has been shown at Shoshana Wayne Gallery, Berkeley Art Center, Los Angeles Municipal Gallery, SOMArts Gallery, Harriet & Charles Luckman Gallery, Pete & Susan Barrett Gallery, Grace Albrecht Gallery and in a collection of local and international film festivals.